Utilities, utility software, tools, utilities for free download WinX MediaTrans, Pointstone Disk Defrag, 3nity File Splitter and Joiner, Easy Timer, CPUMon, RecentX, 3nity FileSearch, Copywhiz, Duplicate Photos Fixer, 3nity PDF Reader Download for free! »» Free download WinX MediaTrans! WinX MediaTrans ::: a computer program that allows users to manage devices that have an iOS operating system installed. Using WinX MediaTrans, you can manage and organize the entire contents of your phone. WinX MediaTrans allows management of video, audio, eBooks or playlists. »» Free download Pointstone Disk Defrag! Pointstone Disk Defrag ::: a computer program that allows users to optimize the hard drive. Using Pointstone Disk Defrag, hard disk operation will be much faster and more efficient. Pointstone Disk Defrag is a simple, stable, fast and very efficient defragmentation tool. »» Free download 3nity File Splitter and Joiner! 3nity File Splitter and Joiner ::: a computer program that allows users to split files. Using 3nity File Splitter and Joiner you can split large files into several pieces that can then be pasted again. 3nity File Splitter and Joiner is very good for splitting large files for easy transfer. »» Free download Easy Timer! Easy Timer ::: a computer program that allows users to use an alarm clock on their computer. Using Easy Timer you can create and configure different types of alarms. Easy Timer lets you use different sound effects or choose your own alarm sound. CPUMon ::: a tool to monitor the CPU performance. Using CPUMon you can monitor the performance of the processor directly from the desktop. CPUMon is a stable, secure and very useful tracking program. RecentX ::: a computer program that allows users to organize and manage applications. Using RecentX you have faster access, from one place, to all your applications. RecentX is very useful to organize in a more efficient way the workspace. »» Free download 3nity FileSearch! 3nity FileSearch ::: a computer program that allows users to search for files. Using 3nity FileSearch searching for files on your computer is much easier and faster. 3nity FileSearch offers different viewing modes and allows you to apply different filters. Copywhiz ::: a computer program used to copy files and folders. Using Copywhiz organize files and folders is a much easier job. Copywhiz offers different modes of selection and allows you to apply different filters. 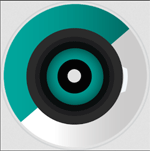 »» Free download Duplicate Photos Fixer! Duplicate Photos Fixer ::: a computer program used to clean the hard disk. 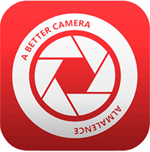 Using Duplicate Photos Fixer, you can detect and delete duplicate photos. Duplicate Photos Fixer is very useful for freeing up space on your hard drive. »» Free download 3nity PDF Reader! 3nity PDF Reader ::: a computer program that allows users to view PDF files. Using 3nity PDF Reader you can read and print all PDF documents. 3nity PDF Reader offers different viewing modes and displays different details about the PDF document.